Bring home the inspirational film Megan Leavey, based on an incredible true story, starring Kate Mara, Common and Edie Falco. 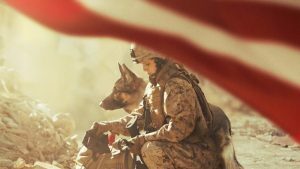 Megan Leavey shows the unbreakable and powerful bond between two soldiers, one human and one dog. Own it on digital now and on Blue-Ray and DVD on September 5th.